Wow, 2 more hours and it's gonna be 2008!!!!!! It's already noisy around here, the kids are having a blast too. I am actually still chatting with my 2 sisters, one is in Sydney right now and actually it was already 1:00 am at their side and since they are 3 hours ahead of us. They are on a vacation and my sis and her family is staying in one of the hotels there. Would you “sell” your future payments?? Let’s say you won a settlement over a dispute or something, the agreement through your lawyers is that you will be paid not in lump sum money but payments will be installment and in period of time (monthly, quarterly or yearly). This kind of payment is what you call structured settlements . Sometimes it’s hard to wait and you need that money immediately, would you sell those future payments? I reckon I can do that if you are going to ask me bec. there are companies who buy settlement payments and of course all I need to do is get the highest cash offer that will come my way. Hey, all how are you today? Hope you are all doing great. Anyway, just wanted to share some photos that i took. 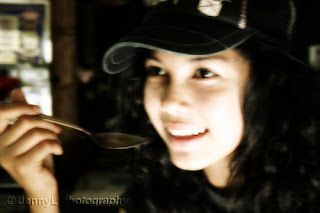 I am so glad that Micah is always cooperative when I told her that i'll take her photos so that i can practice of my photography. I got a relaxing body massage ! It is my very first time to have one and it was actually a pleasant experience. Micah, Karlo, Kat (my nephew and nieces) and I went to Sachi Massage Center near our place to get their massage. Actually, I was suppose to accompany them but when i entered the place and smelled the soothing and calming aroma of the massage oils, I immediately told them i will join them. The place is quite cozy and relaxing and it's no wonder that they have many customers. We were reserved at 5 pm time but we were late so we had to wait for the next session. Their full body massage costs P250 per person for 1 hour and their foot massage is P150. Very affordable, isn't it? They offered Japanese style massage so the beds are on the floor and we lied there. It was my 1st time so my masseuse only gave me a light one. I was ticklish at times and could not help but to laugh and giggle. Micah joined me in my room after she finished so she added more laughter in. It was a good bonding time for 4 of us and it was a relaxing night. We all liked the massage and they told me they will be back next time. After the massage we passed by a mini store where Karlo bought a slipper, while Micah and I bought a shirt and a blouse. 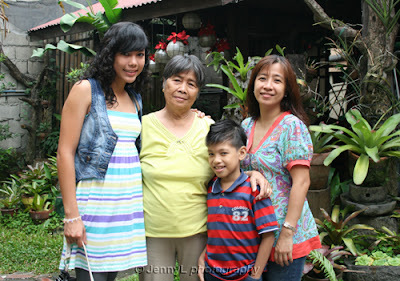 Then later on I asked the kids to get ready and off we go to Jollibee for their treat. I have to sisters who are living with their family abroad (Saudi and Australia) and one of the ways to keep us in touch is by calling each other (they always do the calling hehe). Calling home can be expensive at times but what they always do is to use international calling cards that can save them a lot of money.They refrain from calling us using their cellphones or landlines bec. that can be so expensive. There are many available call cards at PinShark at affordable prices that anyone can use any where in the world. Calling a love one can be so easy and affordable and there is no reason why you can’t call them. Accidents are of course can’t be predicted even though we take extra precautions esp. when we are on the road. There are careless drivers who don’t realize that they can harm and kill people when they are being reckless. Trucking accidents are even scarier when it will happen to anyone. Imagine being on head on collision with a 40-ton freight hauler? Geez, if you are not lucky enough you’ll be left dead or disabled for the rest of your life. When you are faced with this kind of situation you need to get the services ofOmaha Truck Accident Attorney that can represent you in your claims. They have free consultation about your rights and they can assist you in your claim needs. You’ll better off getting experts to handle that legal procedure. 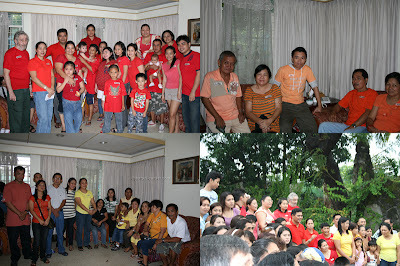 We had our Family Reunion (my grandmother side) last Dec. 26, 2007 at the house of one of my mom's cousin. My late grandmother has 7 siblings and luckily only one is still surviving. 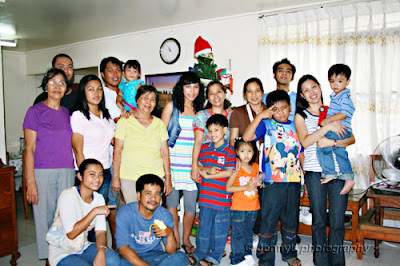 Actually it was the 1st time that we gathered during Christmas time since we are doing it during Easter. I reckon it was already 3 years in a row that we have not planned something like this. The weather didn't cooperate bec. it was raining that time so we were stuck inside the house. The kids felft it was boring bec. there are no games just exchange gifts. I hope next time we will rent a bigger place like a clubhouse or something to accommodate all of us. And I know it is hard to organize such big event like this. Although it was kinda boring at least i had the chance to see some of my relatives all together. Yay, i reckon we are over 200 people that day! 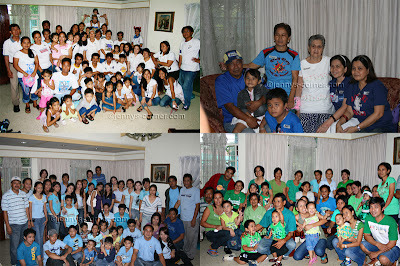 What about you guys do you have family reunions or gatherings every year?? Have you called your family yet? One of the best ways to communicate to any loved ones is by calling them in the phone especially if you are living in a different country. There’s no other like hearing their warm voice and to know how they are. Calling your family makes them feel more loved and important, but sometimes it will cost a fortune if you always call overseas using your landline. For many Pinoys abroad one of the best ways to call is by using aphone card to save more bucks. In this way there’ll more time for chit chats. There are many cards available online and I found an affordable card to call from US to Phils.. Crazy call phone card allows you to call at 5.9cents per minute. There is a simple instruction in their website on how to use this card. If you get yourself one, just don’t forget to call your family, they are waiting to hear your voice. Happy New Year everyone!! 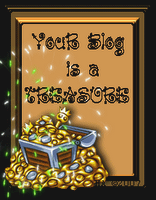 Oh i just love this domain blog of mine, ever since i got this I've been blogging here non-stop. I'm still blogging at my bravenet journal (Simply Jen) too but this blog format allows me to put more widgets or scripts on my sidebar. 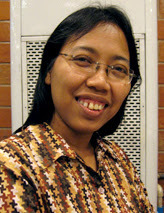 This blog also maintains its PR after Google have penalized my other blogs. I am so happy that I still have my pr3. Anyway, thank you TERE for this award and i want to pass this to NITA, KITTY, JENNYR, CHIKAI, NORA, NICE, DIANE. I know you also treasured and loved all your blogs so pls. accept this lil award. Just thinking about this little nasty creature made me itch! Little did we know that bed bugs love to stay and live in our mattresses and of course they are so tiny that they are not visible . They crawl up at night out of the mattresses and bite the person lying in there. That is just annoying isn’t it? I just found a good site with information about bed bugs and how to tell if you have bed bugs at home. They are not that dangerous though but it is much better to know more about them. And actually they don’t just reside inside our mattresses but they can be found also in seams, the box springs, or sometimes the linens. Yay I have to check out my mattress if I have those tiny creatures crawling in there! Hello all, i hope you all had a great Christmas !!! 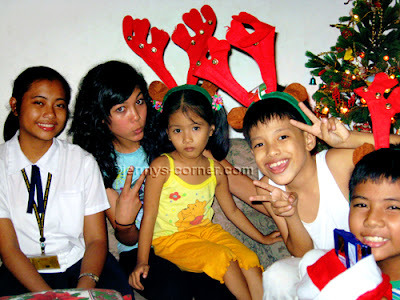 We woke up early on Christmas day and went to my bro's place coz we will be havin' our lunch there and that is where all of my godchildren will go to receive their gifts from me. It was "Manuhan" time where kids show sign of respect and later on will receive gift or money. We also visited some of our relatives. We had videoke machine but we turned busy out so we didn't have much time to sing. 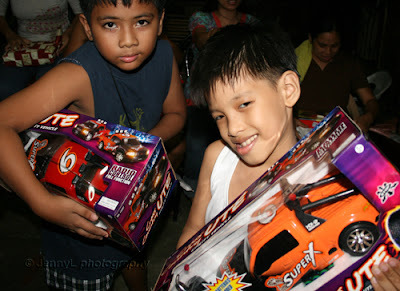 Later at night we had the exchange of gifts and the kids had the blast opening their presents. YAy, only few more days and it's gonna be 2008. One of the main goals of any parents who have kids is to give them good education as much as possible for their future. My nephews and nieces are lucky enough to have been studying at private schools bec. they believe they will give the best education and teachers are well competent. If I will have kids in the future I’d certainly consider sending my kids to good schools. For parents who have kids that don’t fit much in a “regular”school, they have an alternative of sending them on a specialty boarding school like Ivy Ridge Academy in NY. They are located just outside of outside the City of Ogdensburg that has nice classrooms, well-maintained dorms, equipped computer rooms, and more for students to enjoy. The location of the academy is just perfect for students to academic leaning and outdoor activities. Age group of 12-18 can take admission test in the academy and they have separate dorms for girls and boys. Every Christmas eve we always see to it that we will hear mass. 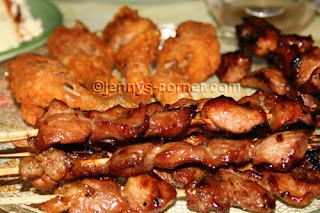 We ate dinner 1st pre-Noche Buena and we had a simple one only. We just ate Shakey's Grand Slum Pizza and of course Ham that came all the way from Australia that Micah brought. 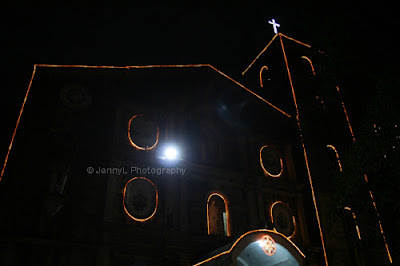 At 9:30 pm the Christmas Eve mass started and there were lots of people that attended the mass. The church was so full that we had to just settle outside. After mass we ate our leftover pre-noche buena feast and headed to sleep. I hope you all had a great Christmas everyone!! More stories later and pics. …Manny Pacquiao’s fight next year to Mexcian Manuel Marquez and I know it will be another great event in the boxing world and of course to us Filipinos. We are of course very proud of him and we are supporting him on his every fight. I know that his coach and trainer Freddy Roach will give him another rigid training and to keep his stamina good, there’s no doubt that he is also and other athletes are taking nutritional supplements or vitamins that can help them. Boxing and other sports officials condemn athletes taking steroids for they are prohibited. We will be rooting for you Pacman and make us proud again! 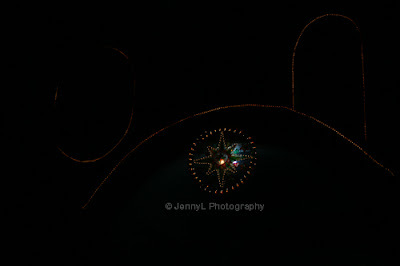 Yay, i have not blogged for 2 days (that is unusual lol). Well of course it was Christmas rush so i was busy completing and wrapping the gifts and other stuff here. I kinda feel i'm still on my vacation mode right now but i need to keep moving and also blog for I have some left over assignments. 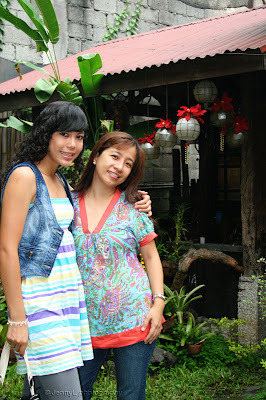 I will post pictures from our Christmas and Family Reunion later.. Right now I am still sleepy (hehe) and still bloated with all the foods i have eaten during Christmas. I hope I can upload some pics and I'll share them to you all.. THANK YOU for all your Christmas messages !!! Have a great day everyone!! We are not really sure when will our life finally end. It’s a bit scary to think esp. if we are not yet prepared and if we have many obligations in our family that is not fulfilled yet. I know many who already got themselves insurances like health insurance or mortgage life insurance to be safe. I just hope before I will leave this life I have already accomplished things that I want to achieve with the God’s grace. 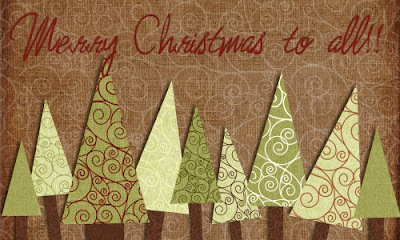 Been busy here, just wishing you all a blessed and meaningful holiday this year! I'll be back after Christmas for more stories and pictures. Thanks for all your messages!! Ever since my niece Micah came back home from Sydney, i get to practice my photography and use my Rebel cam as she was really game to pose for me. 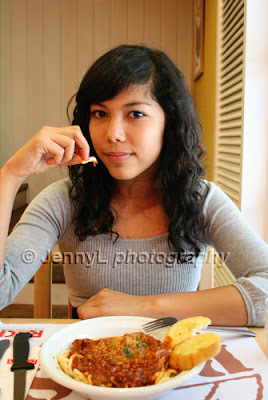 Here are some photos of her when ate lunch at Racks in Greenhills last Thursday. Micah and I went shopping the other in Greenhills and she bought some things for herself with her own money so she was really budgeting it hhaha (good for her!). I told her also to look for a gift for her dad (my bro inlaw) but we can't think of what to give to him. I don't think he'd love men's jewelry as a gift though. We are planning to give something personalized so that it'll be more special. We'll just buy that next year before we leave for Sydney. 15 yr old Filipina wows US audience!! It was on the news lately that Charice Pempenco guested on n The Ellen Degeneres Show and she blew the audience away with her great singing voice. 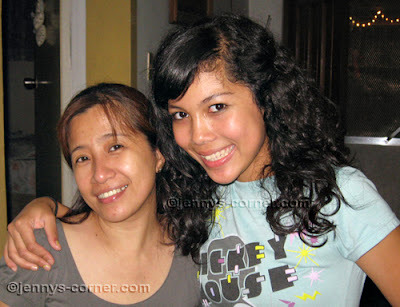 Here her voice and t's amazing and you'll be proud to be a Filipino. Congrats Charice and we are proud of you!!! I hope the new great opportunties will come your way!! Just one of the many accessories or decors that any home makers will consider having at home is of course light fixtures. 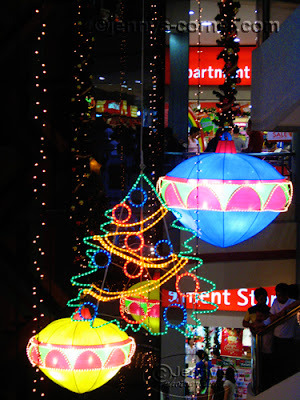 There are just about diverse types of lights that we can put in the different areas in our homes. And don’t you know that light can bring out the mood? Don’t you just love it when it is dim inside your bedroom bec. it will be conducive to relaxation and sleeping? Farrey’s offers thousands of indoor and outdoor light fixtures for our homes at affordable and reasonable prices in the market. You can choose from chandeliers, bathroom light fixtures, kitchen light fixtures, and more. There are just about endless varieties to choose from including top manufacturers. Today is my birthday of my long time Bestfriend RACE. Happy happy birthday Bes!!! 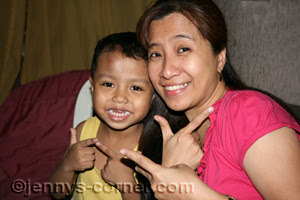 (same age na tayo wooohooo haha). 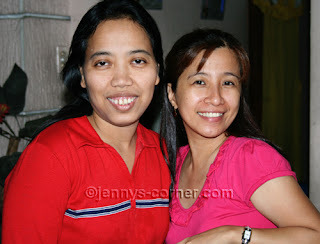 We have been friends since 1st year in highschool and up to this day. So we are friends for over 20 years now. We have shared a lot and I treasure all of those days. She is a working mom and married to Bong and with 3 kids. We were suppose to go out this lunch time but I don't feel that good so I told her i will just pass by their house tonight. More blessing Bes, good health and good friendship ahead of us. Love you Bes!!! Who doesn’t know the NY Yankees team? Their baseball match is always awaited and I would be thriller if one day I will be given a chance to watch one of their games and cheer with the crowd. Their games tickets are always hard to buy especially if you are late that is why their fans will buy it much earlier online. NY Yankess are already preparing for their training come Spring so New York Yankees Spring Training tickets are now available online. Reserve your tickets now at Team One Tickets if you are one of the avid fans of the Yankees. You don’t want to miss any of their activities, aren’t you? Micah and I just arrived an hour ago from our shopping. Actually i accompanied my niece Micah to buy some stuff for herself and tour her around Shoppesville and Viramall area since she's never been there for many years now. Wow we were caught in traffic this morning and we arrived in Greenhills half past 12 noon already. She was so excited to see all the goods for sale there in the tiangge and she wants many. I juts told her not to buy in impulse (as if i don't lol) and we will be back there next time. We had a great time bonding and for sure we will be shopping again after Christmas. I hope you all have done your Christmas shopping and Merry Christmas to all of you! I can't blog hop much as you can see i'm quite busy. Photos later. I can already smell Christmas and the Christmas rush.. yahoooo!! Can you? This is also the time for family gatherings and out of town vacations. So if you are planning to get away during these days then you need to plan and have reservations asap. Hotel Reservations website offesr vacation packages, vacation rentals, resorts at affordable prices and you can choose which package that will suit your needs. You can book online at any destination around the globe for your convenience. Check out them now and save. 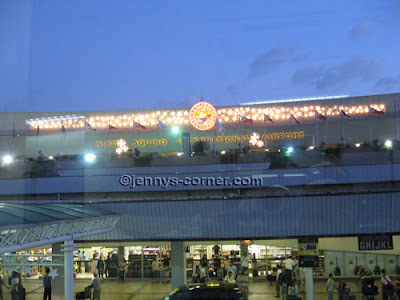 Philippines has the longest and colorful Christmas celebration ever, malls already started decorating as early as November, Christmas songs are heard early too. 9 days of Simbang gabi (dawn mass) already started on Dec. 16 and my sis inlaw has been hearing mass since the 16th at 4 am while I am so asleep. 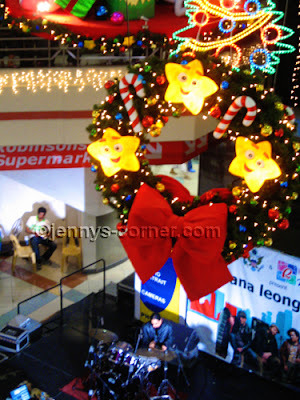 Just sharing some pics i took at Robinson's Galleria mall last Sunday. MERRY CHRISTMAS everyone !!!! I am quite busy here, sorry for not blog hopping during these days. 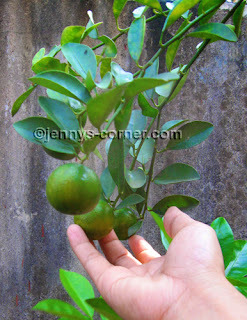 I harvested some calamansi on our backyard the other day bec. i am going to use it to marinade the pork with soysauce, sugar, pepper. It turned out to be delicious when i cooked it last night. Micah also loved it. 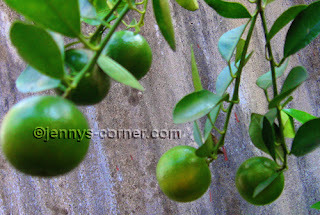 These little green lime has many uses, they can be used as a juice to drink, as a dipping (with soysauce), and their peelings can be used to wash away slimy smell on your hands. Others also believe it can make your skin whiter(elbow or even armpit) and they are also put in so many dishes and delicacies. Ok, ok I know there are quite a lot already weight loss programs that have been introduced in the market today. From the south beach diet, exercise programs, slimming tea/herbs, even scary surgeries I reckon those that would like to lose wight are getting sick already. 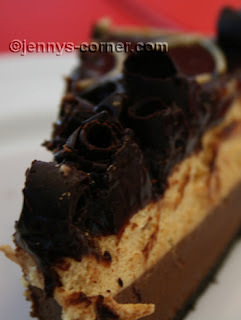 I believe that dieting is simply discipline bec. even if you exercise but doing the same lifestyle and still eating the food that are fatty you’ll go nowhere. Maybe you can read this book called The Magnetic Diet authored by Nick Smith where you can learn how to combine food specifically to create what is known as Invigorating Magnetism. You can try it out. Since my niece arrived, i feel like i'm the busiest person ever lol! Of course I need to take care of her, her mom always call (to think 2 days pala dito anak nya hehe) and we always have chat and video cam. I know that she is trying to know if her daughter is ok so I have the responsibility of taking care her. Ok, guys this is just a short post, we are heading to SM to shop a bit and i'll be back to share pics later. Have a great day everyone!! Thanks for those that are leaving comments i'll get back to you next time ok.
Micah is here already last night and after almost 2 hours of waiting we excitedly saw her and some friends who accompanied her on her Qantas flight from Sydney. I could not recognized her immediately, me and my mom even asked her companion where is she and we're stunned to see her actually grown up and was so tall. 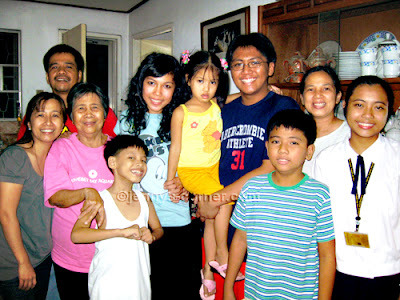 After that we went straight home and had dinner together with my other nephews and nieces and the rest of my family. The kids also got excited when they receive their chocolates, Christmas box is still coming. 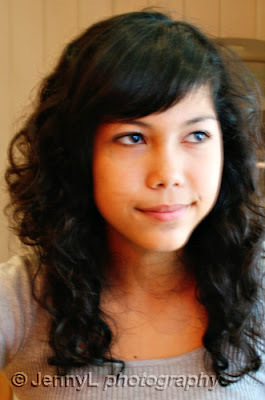 Micah looks so different now and of course she is beautiful (love your own syempre). We were also got scared that she will be bitten with mosquito so we asked her to wear pyjamas, lol. Bilin ng mama nya na mag off lotion kasi baka magkadengue.. It will be busy days for all of us here and of course i need to accompany her around and do the shopping..
Off we go to the airport..
My 13 yr. old niece is coming from Sydney today for a Christmas vacation and she will be arriving in 2 more hours. Actually she will only be arriving w/o her family but one of my sister's friend will be coming also so she will accompany her. It is her 1st time to come home here in Pinas after migrating there for 5 years now and we are all excited to see her again. Busy days are awaiting for all of us here. So guys..I gotta go. Have a great day y'all and be safe!! Stories later. … has experienced joining chat rooms that offers free chat like chat lines. I had my days when I enjoyed meeting people from different parts of the world where I exchanged some ideas and part of my life while chatting. Chatting online or Internet dating can be fun and already became popular these days. There are also many teen free teen chat rooms where teens can join the community and meet singles although precautions are also necessary when teens indulge too much on this. At Chat-free they also have tips and advice for singles. I have tasted it but to tell the truth I have never learned to love tea but I have heard so many good benefits drinking it. 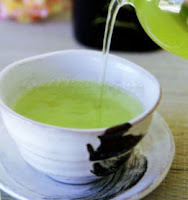 I remember my grandma even brought some Japanese powdered green tea when she came home from the US. She drinks that instead of coffee bec. 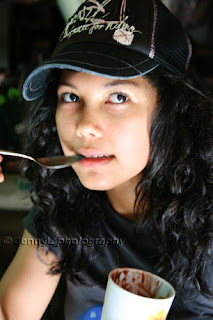 she believes it is much healthier to drink it as it cleanses our body and flushes our toxins. I know Chinese people are popularly known as tea drinkers as tea originally came from China but it has been also popular in Asia like in Japan. Others also believe it is good for those who need to lose weight and to dissolve fats in the body (hmmm this is what I need, lol! ).